Welcome to Sunday Spins! A weekly post where I share the hoop love — hope you guys enjoy! As for hoops, here’s a neat zebra print one from Etsy sure to bring out your animalistic side! What do you think about Jenny Hoopnosis’ floor video? Do you think you would be able to incorporate some of her moves into your routine? What do you think about the zebra print hoop? Lots of exciting news this week! First of all, thank you to everyone who reads Aphrodite Perception — this week we hit 10k views! It’s amazing to think that this blog, which started out as an outlet for my opinions on fashion and beauty products, has turned into something that others read regularly! Thanks again to all my readers — you guys are what keep me looking for new and better ideas for posts! 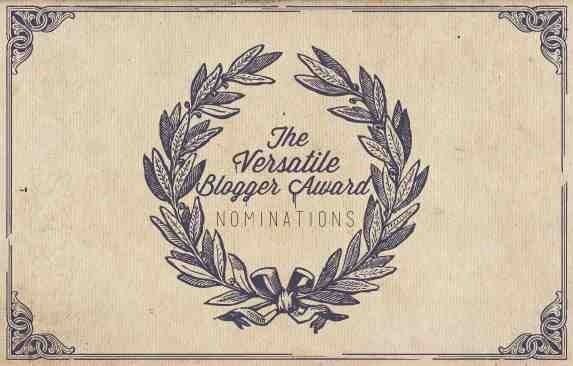 Secondly, I have been nominated for my first blog award, the Versatile Blogger Award, by Corrange! Such exciting news, thank you sweet girl! From the very beginning of this blog, my goal has been to share things that make me feel great as a person, regardless of their category. I have done posts on fashion trends, favorite recipes, even printables! Nothing makes me feel all warm and fluffy inside like sharing things that I truly love, and I’m glad to see that others enjoy the versatility of my blog as well. I’m ashamed to admit it, but recently I’ve been in a bit of a rut with my hooping. I can’t manage to get a few tricks down that seem so simple, and my hoop took a beating from my beach trip this summer. It’s pretty accurate to say that my hoop and I are a bit down in the dumps. As for hoops, I have been longing for a new one… Until I get a new one, window shopping will have to sate my appetite. And what better to long after than a totally unique style of hoop, like one made out of wood? Try something new this week — you never know what you can do until you try! Do you think Katie Sunshine’s video is helpful? Are you as in love with the wooden hoop as I am? So, first of all I want to apologize for my recent absence from the blogosphere. I have been working on setting up my greeting card shop, which is finally up and running! If you’re interested, please check it out and let me know what you think: rompadomp. I love working with people on custom designs, so please email me if you’re interested! This week I found an amazing video of hooper Mike Hayataka showing off his skills while caught in a light rainstorm. This guy has a unique and cool flow, I highly recommend watching a few of his videos. And check out this fun hoop — talk about a cool flow of design! I love how colorful it is compared to the common one-color polypros you usually see. Have you ever hooped in the rain or other inclement weather? What do you think of Mike’s flow? See you next week, hoop lovers! Now that you know more about what hoop you should look into, here are some free giveaways that are currently open! Just click the pictures to transfer to the sites to enter! I loved getting to travel across Europe for a month this summer, and this video just made me want to go do it all over again! Karina, the featured hooper, made the video below to inspire people to travel and experience things they normally wouldn’t. Follow her lead and pursue your passions! Who knows, maybe she’ll inspire you to take up hooping yourself! What do you think about Karina’s video? Are you in love with the holographic hoop? Share the hoop love! And don’t forget to look at these sweet babies! Don’t they remind you of the galaxy? Celestial love! Get lost in the controlled chaos! What do you think about Brecken’s style? Do you like the celestial hoops?